EPC (Engineering, Procurement and Construction) projects are highly schedule driven. In order to complete these massive projects early as possible, the different phases of the project are overlapped. However, EPC projects still face challenges with cost overrun and schedule delays. A case study on problems and practices in EPC project management has revealed that one of the sources of these challenges is related to material and equipment. Transportation is one of the big issues here. 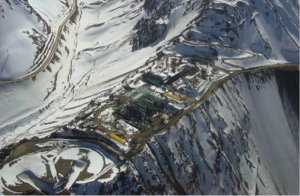 Let’s see a case study EPC project of Copper Concentrator Plant located in Central Chile shown in the figure below. Following parameters say how big the project is and how difficult the transportation is, to the 10500ft uphill filled with snow. 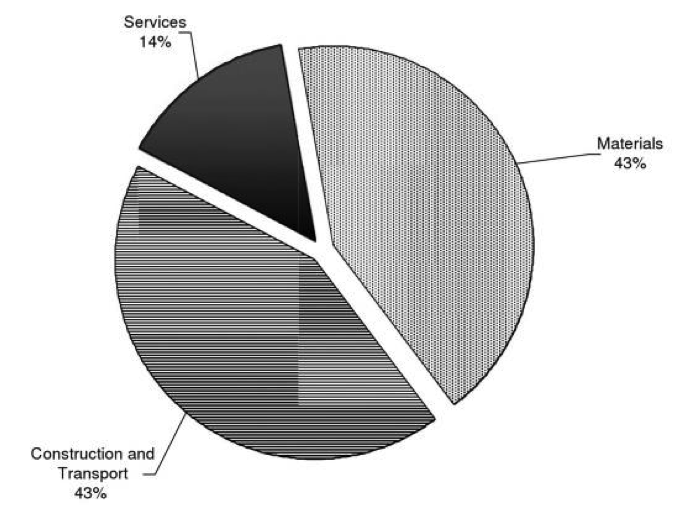 Figure shows that transportation and installation cost is same as that of equipment and material cost. 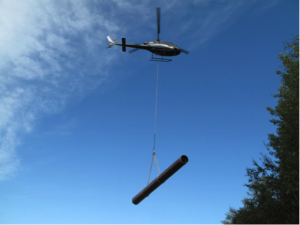 It reveals that the transportation adds significant cost component to the project. 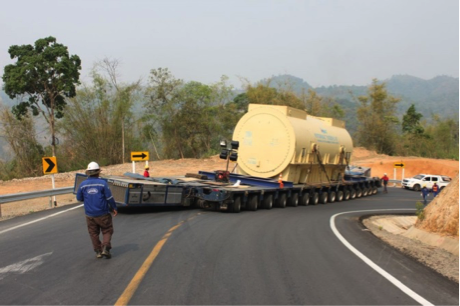 In order to overcome the challenges faced by EPC projects on transporting big equipment to difficult access areas, there are efforts already successful and few such examples are discussed in this article. Electricity is not only for urban areas. 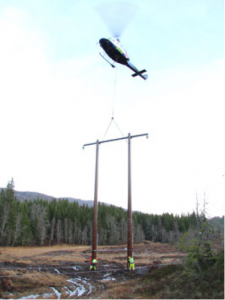 Electric pole installations with challenging terrain are made easy nowadays. 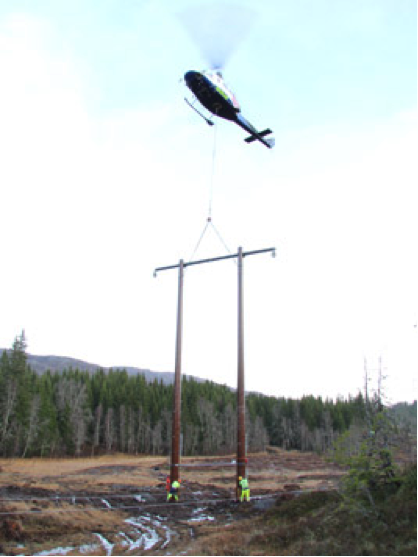 Compared to traditional pole materials, smaller helicopters can be used to lift fully constructed H-frames of light weight composite poles for challenging location drops as shown below. 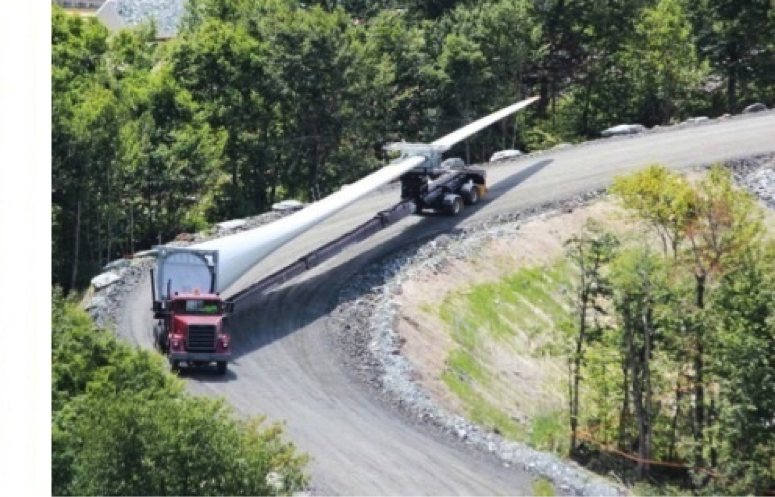 Wind turbine blades are another challenging object to transport. Not only the size of blade, but also the constrained access roads are common in such applications. 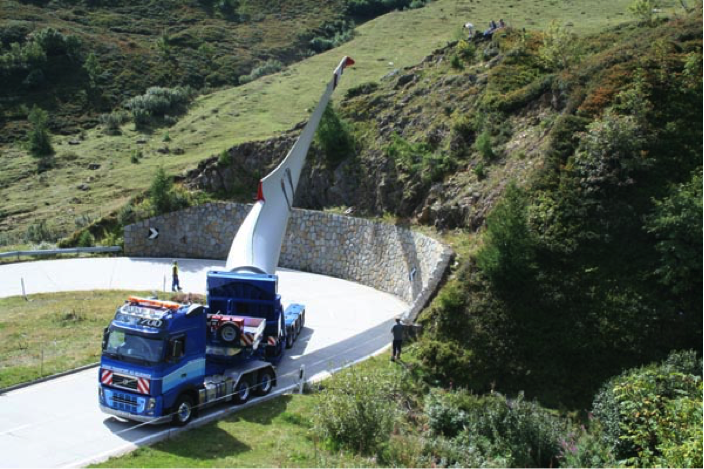 See how difficult to transport fully assembled wind rotor with diameter of 118 meters and weight about 150 tons. One another constraint as shown below is the very steep roads creating traction issues in trying to get the equipment up to the site. Even more difficult situation is shown in the below figure on a mountain road in the Swiss Alps. Such complex problems need most sophisticated solutions. 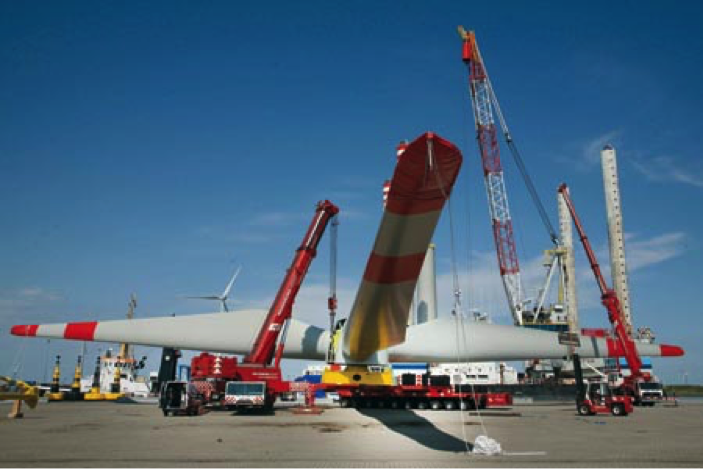 The vehicle uses a special adapter for mounting the blades which can raise it to 23 °, lower and rotate to the left or right using a hydraulic actuator making the blade floatable above the surrounding obstacles. Further, with the purpose of reducing wind load, this adapter has been designed with the ability to rotate about the longitudinal axis of the blade. A good alternative would be using Zeppelins. 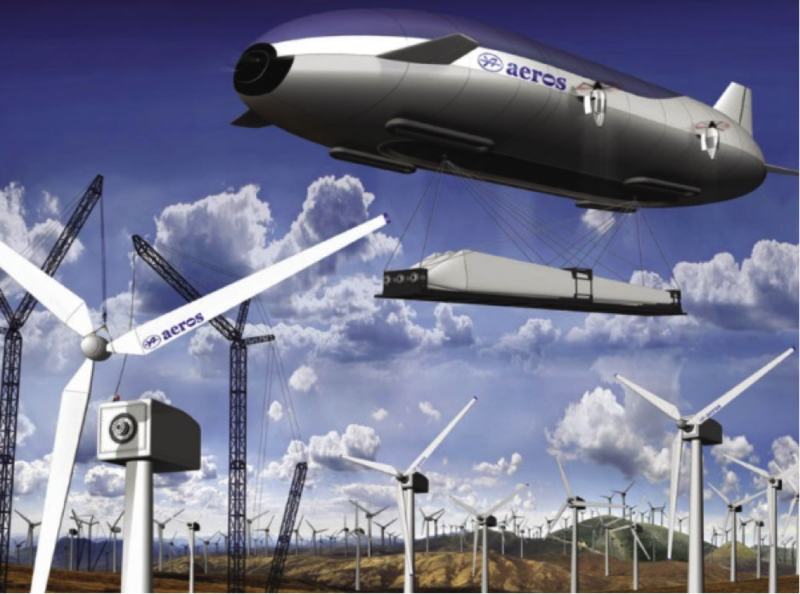 A California based company is working on an Aeroscraft; a variable buoyancy vehicle that has the ability to off-load without re-ballasting. Its vertical takeoff and landing capability enables transporting to the destinations like uneven ground. 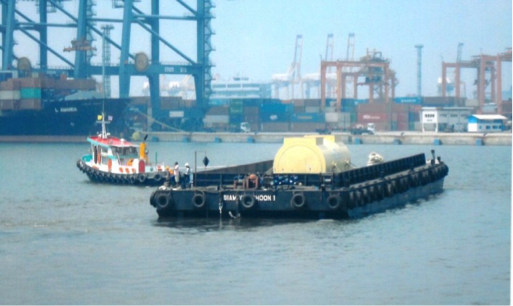 One example of transporting heavy generators to the power plants is shown below. 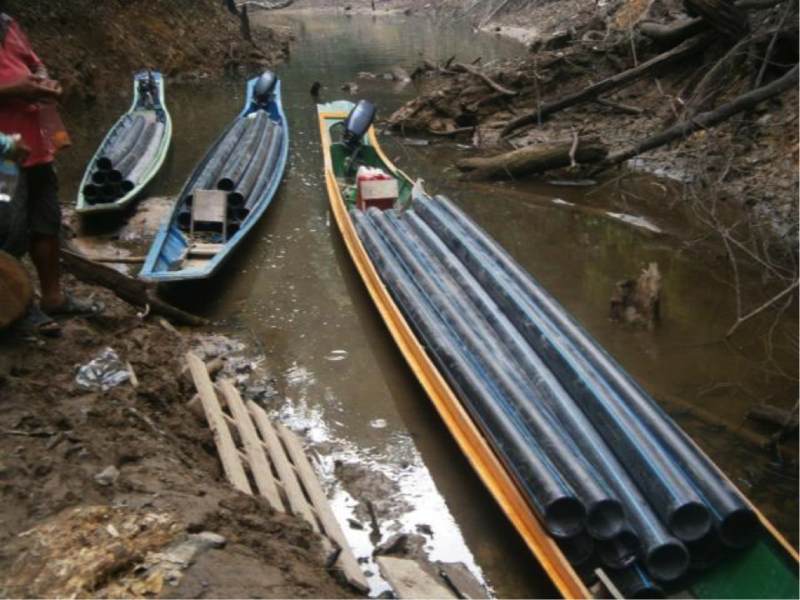 The situation is complex with three constraints; passing underneath low bridges across a river, cross number of long bridges and up and down extreme slope gradients on land. Below figure is another example of transporting off-site modularised large wet flue gas desulfurization sections by river barge and on active roadway before installing at this coal fired power plant. 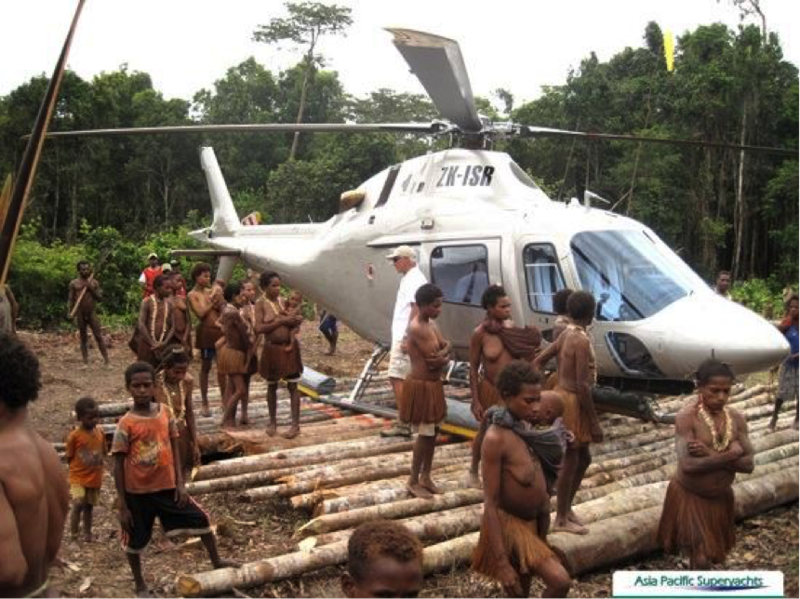 Last, but not least let’s see how locals have constructed a helicopter landing site in the jungle with logs enabling their clients to access a tribe few have ever seen. Do you enjoy solving engineering challenges?